iii) Establishing educational programs and assistance for University staff, faculty and students who currently smoke or use tobacco products and wish to quit. 2.01 “Smoking”: the act of lighting, inhaling, exhaling or holding a lit or activated cigarette, pipe, cigar, hookah, or other apparatus used for smoking substances, including e-cigarettes. 2.02 “Electronic cigarette” (“e-cigarette”): A vaporizer or inhalant-type device, whether called an electronic cigarette or any other name, that contains a power source and heating element designed to heat a substance and produce a vapour intended to be inhaled by the user of the device directly through the mouth, whether or not the vapour contains nicotine. 2.03 “Use” with respect to e-cigarettes includes: inhaling and exhaling vapour from an e-cigarette or holding an activated e-cigarette. 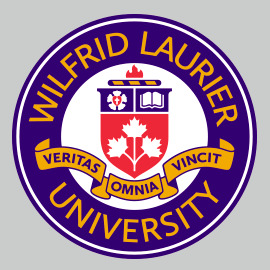 204 “University building”: a building that is owned, operated, leased or rented by Wilfrid Laurier University. 2.05 “University sporting area”: an outdoor playing area or surface that is owned, operated, leased or rented by Wilfrid Laurier University, including but not limited to stadiums, tracks, athletic fields, ice rinks, pools, tennis courts, and spectator areas adjacent to a sporting area. 2.06 “Children’s playgrounds”: a designated outdoor play area for children that is owned, operated, leased or rented by Wilfrid Laurier University, including but not limited to a child care centre play area. 3.00 This policy applies to all Laurier faculty, staff, students, visitors and contractors. 4.01 Smoking is prohibited in all university buildings owned, operated, leased or rented, in university-owned vehicles, on university sporting areas, on children’s playgrounds, and on university-operated bar and restaurant patios. The selling of tobacco products and e-cigarettes on university property or in university buildings is prohibited. Smoking is prohibited inside all buildings. It is also prohibited within 10 meters of any building, or if the building is less than 10m from the property line, prohibited 10m from any doorway. As indicated in 4.01, smoking is also prohibited on bar and restaurant patios that might be outside of this 10m restriction. It is also prohibited within 20m of children’s playgrounds and university sporting areas. Use of tobacco and other traditional aboriginal medicines are allowed under certain circumstances, as described in Policy 7.14 Aboriginal Use of Traditional Medicines. 4.05 Exemptions to this Policy may apply where the University has an obligation to provide reasonable accommodation under the Ontario Human Rights Code. Compliance and enforcement will be in accordance with university policy and procedures, as well as applicable legislation or regulation. Discipline of faculty or staff for violation of this policy will be in accordance with collective agreements and university policy. Organizers and attendees at public events using University buildings, such as conferences, meetings, social events etc., will be required to abide by this policy. Organizers of such events are responsible for communicating this policy to attendees and for enforcing the policy. Enforcement for student infractions of this policy will be dealt with in accordance with applicable university policies for infractions in and around non-residence buildings; or the Residence Handbook for infractions in and around residence buildings. This policy and any associated procedures may be amended as required to meet or exceed all applicable legislative or regulatory requirements. Appropriate signage will be placed at all entrances to buildings and at other locations as may be necessary to support this policy. The Department of Physical Resources and/or Facilities Operations will arrange for all signage. cessation programs relating to both faculty and staff. Health Services can be contacted for smoking cessation programs for students.